The hospital is surrounded by nature and contains a garden in its center. 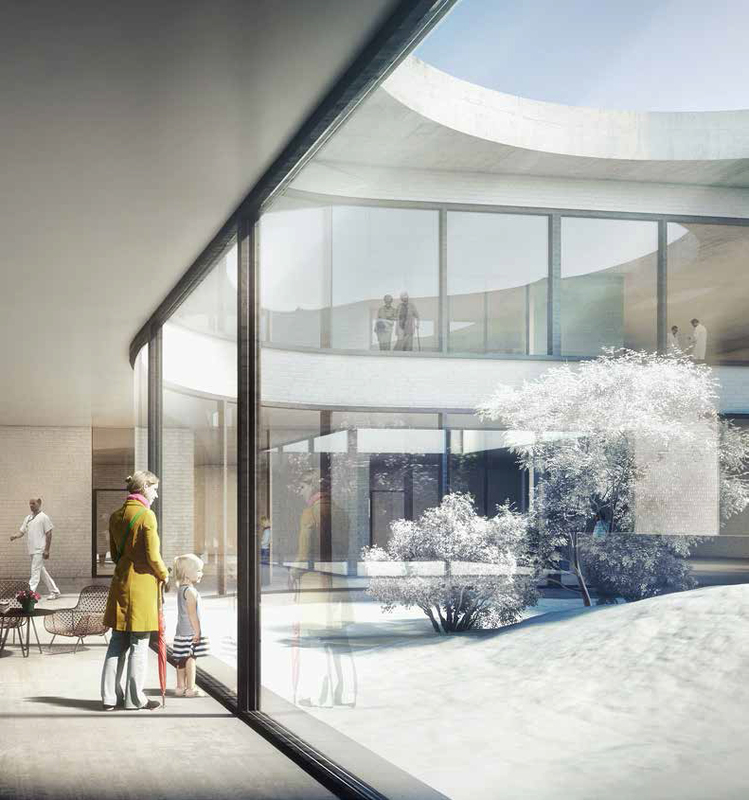 The horizontality of the building and its undulating form responds to the location of the hospital in the midst of the wide Danish landscape. 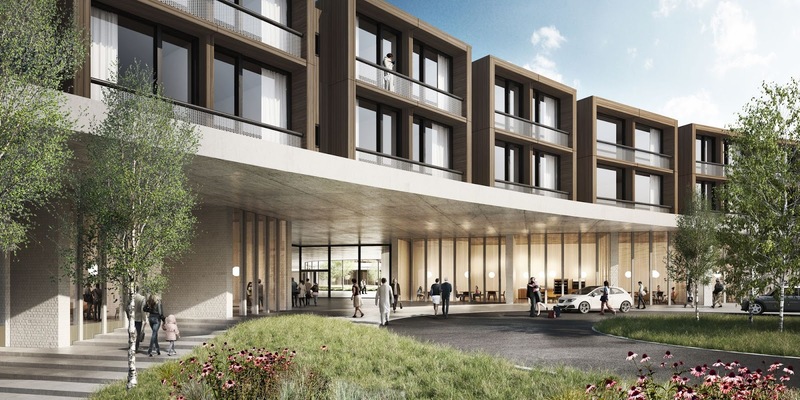 A horizontal building is an appropriate building typology for a hospital, because this fosters exchange: across the various departments, the employees work on a shared goal: the healing of the ailing human being. The new hospital shall overcome conventional operational borders. The tall hospitals of the last decades, with their functionalist language, have rarely achieved this goal. 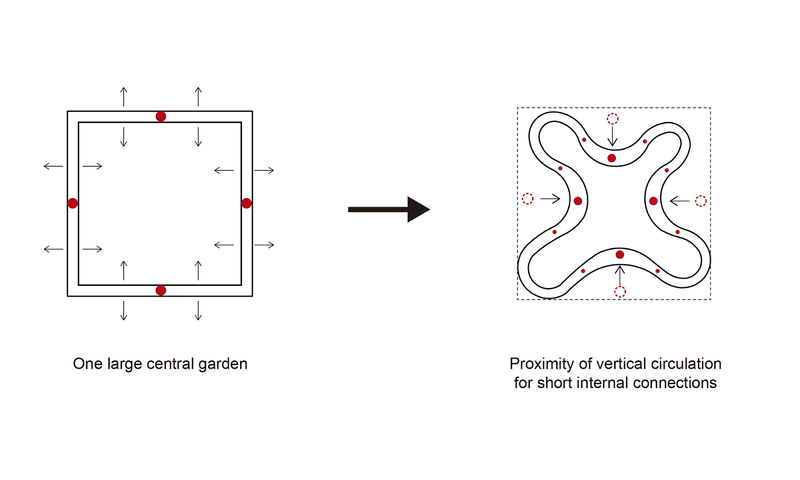 The plan is the marriage of two seemingly contradictory goals: the desire for a large central garden and the necessity for short internal connections. 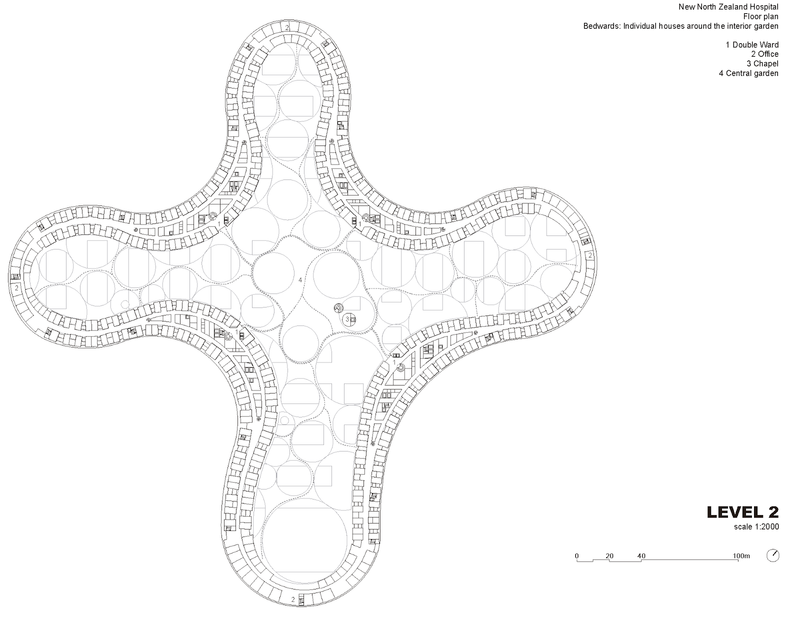 The result is an organic cross shape that permits the interior garden to become a flowing space. A central hall underneath the garden is characterized by four round courtyards. The hospital pulsates from here. 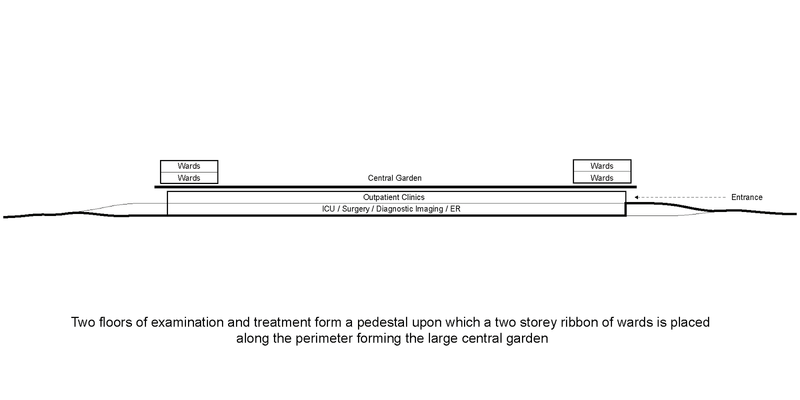 Viewed in section, the arrangement of the functions is simple: two floors for examination and treatment form a pedestal upon which a two-story ribbon of wards is placed along the perimeter, forming the large central garden. In the pedestal, on both levels, connections to the outdoors are created in various ways. Courtyards provide daylight and vistas, and ease orientation. 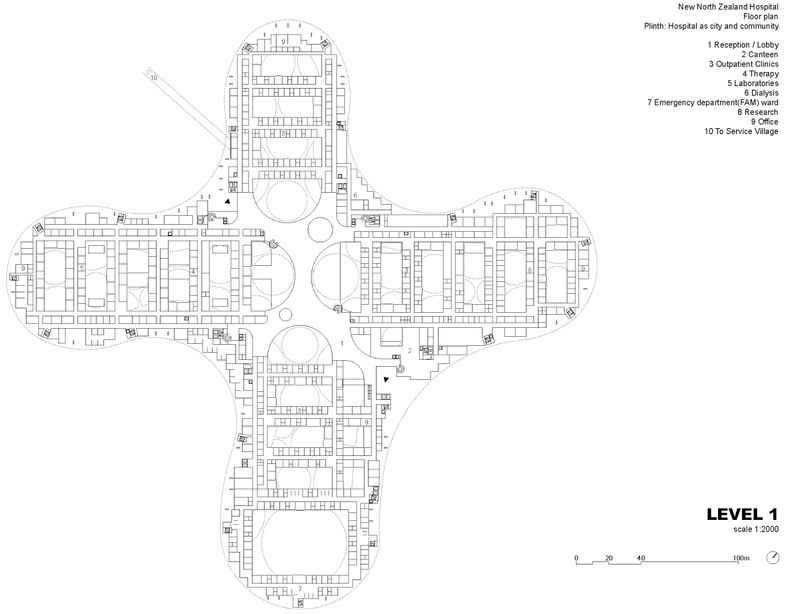 Large connected areas, the repetitive arrangement of the interior courtyards, and uniform room sizes offer a high degree of flexibility. Later changes of functions can be easily realized. 1. The more frequented a department, the more central its location. 2. 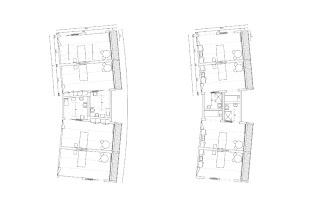 The main streams of outpatients and inpatients are separated vertically. Each level of the pedestal serves one primary stream. The pedestal is mineral with a slender, vertical facade structure, permitting a high degree of flexibility while offering visual protection at the same time. The courtyard facades could be clad in differing materials; they create orientation and variety. The pedestal contains the functions of the hospital that are used by everyone, which is reflected in its continuous facade. The pedestal is an expression of community. The wards, in contrast, express privacy and small scale. 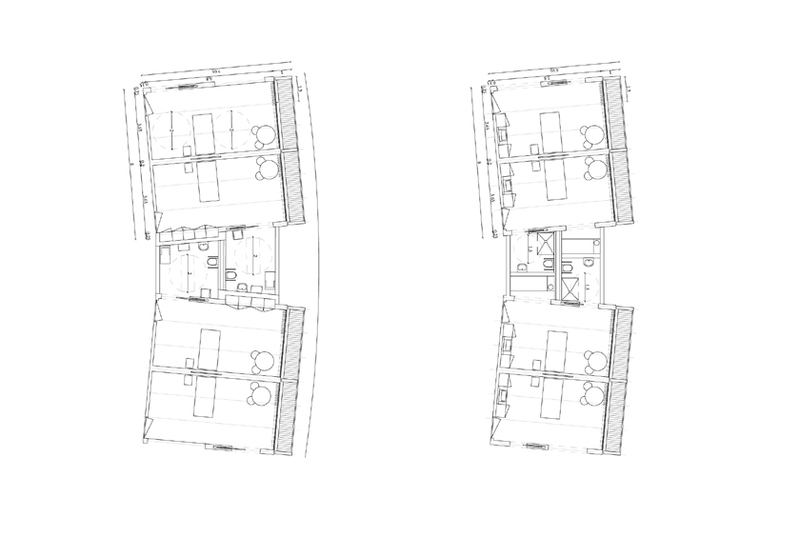 They are made of lightweight prefabricated modules: two by two patient rooms respectively create a small rectangular house of metal or wood. The bathrooms are located in between, set back. They are polygonal and give the ribbon its undulating shape. 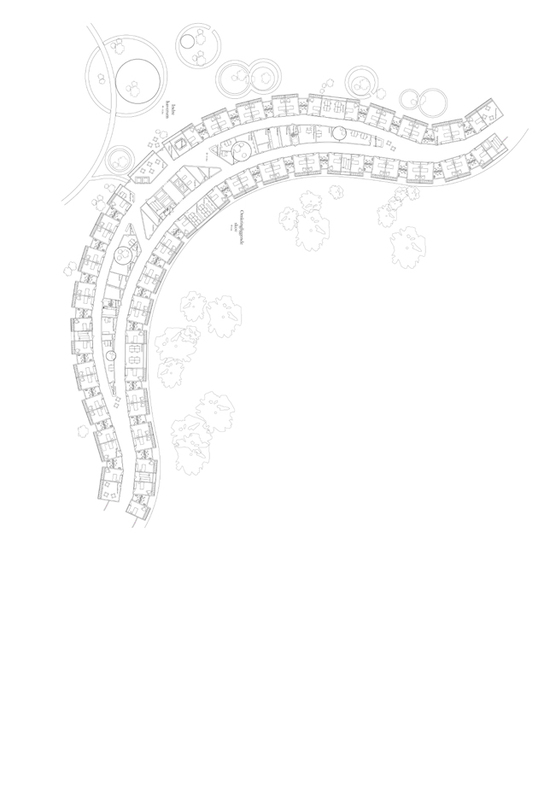 The plan resembles a spine. 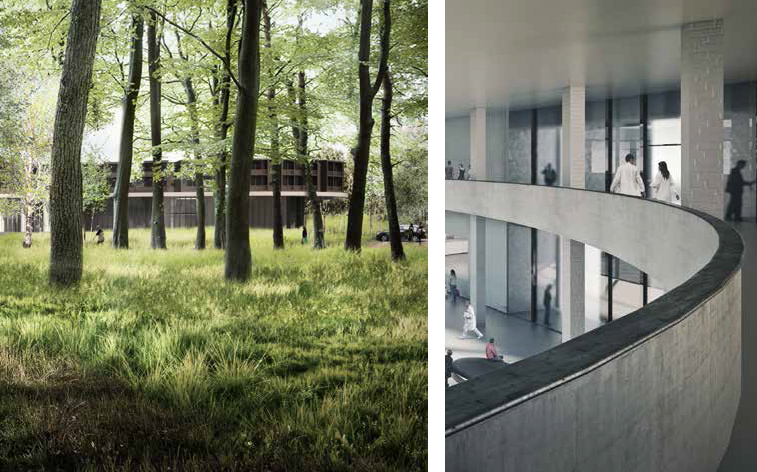 The patients’ rooms offer generous views into the treetops or across the wide central garden. From this viewpoint, the hospital looks like a two-story complex. The landscaping concept consists of two typical Danish landscape typologies. 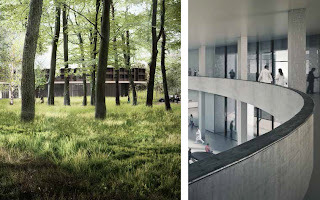 A forest park with clearings for parking lots surrounds the building, while the central garden is Heathland. Circular hedges inhibit views into the pedestal and create the path network of the garden. 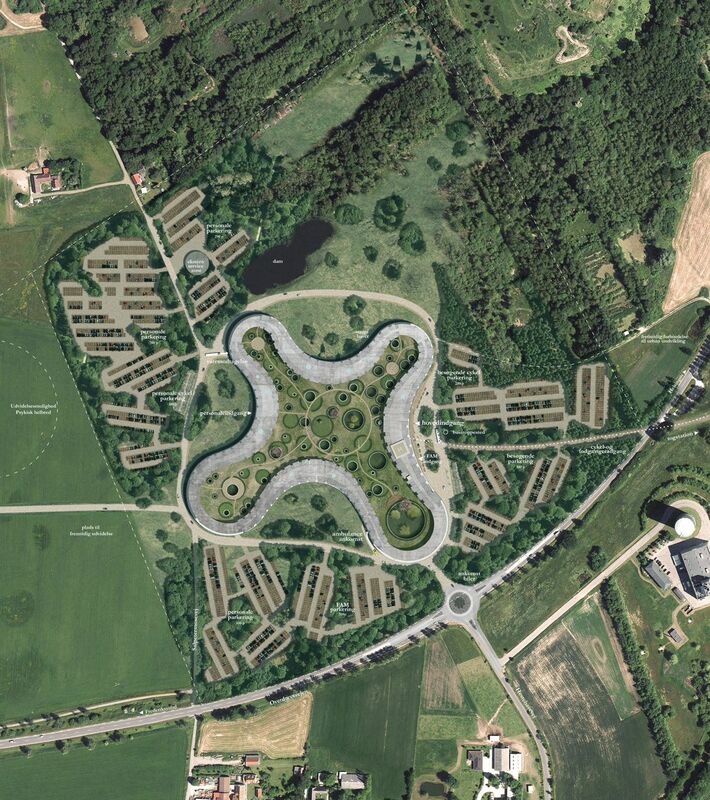 This project will be the heart of the new masterplan of Hillerød South.